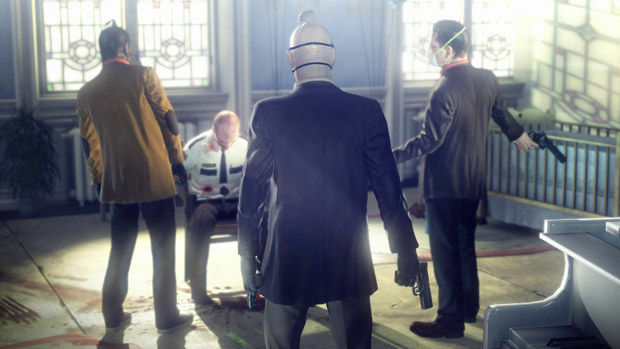 Later this year, Hitman: Absolution will continue Agent 47's masterful descent into the dark life of an assassin. 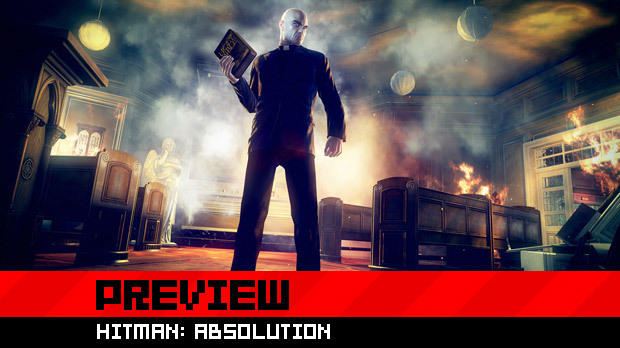 In the past, the Hitman series has never been what one would call an intense action experience, but for gamers who prefer a more Rambo-esque affair, developer IO Interactive has made sure Absolution offers something for everyone. In a recent showing of Absolution, IO Interactive showcased the diverse approaches players can take with the ever-capable Agent 47. In a hands-off demonstration, I witnessed two drastically different play styles that took the deadly assassin through an orphanage in search of a mysterious woman named Victoria. The demonstration began with Agent 47 decked out in priest attire slowly making his way down the confines of a hallway stalking two possible prey. In the stealth play-through, Agent 47 used his notorious cunning to sneak by and avoid any sort of confrontation. This avoidance of enemies brought Agent 47 safely through a couple of areas, but it also left a security guard tied to a chair, being brutally interrogated, in the unscrupulous hands of the enemy. 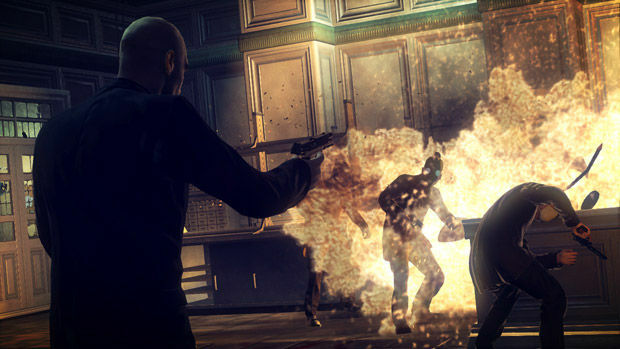 In Agent 47's more violent entrance into the level, the two enemies that were patrolling were assassinated one by one. 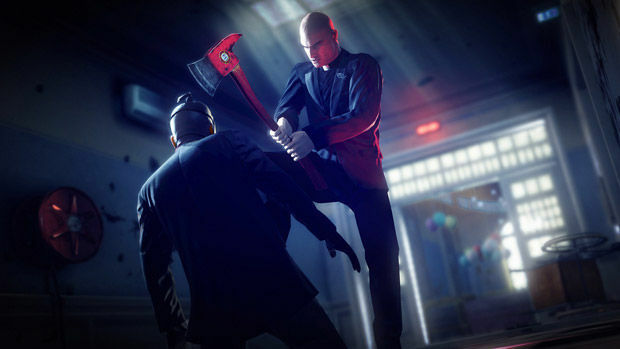 As Agent 47 pushed on, he found a fire axe on the ground that would eventually be used to rescue the security guard held hostage. As 47 bullied his way into the room, the axe quickly chopped down a few bad guys in some highly cinematic executions, before he turned around and hurled the axe and eliminated the final threat. While a more violent and dangerous option, saving the security guard did come with benefits. Rescuing him allowed the injured man to share some crucial information with Agent 47 on where some much needed firepower was hidden in the level. If you read our E3 coverage of Absolution, then you already know about Agent 47's "instinct" ability that can be used to give him an advantage in the stealth department. For the more confrontational player, this ability can also be used to allow the contract killer to slow down the action -- reminiscent of Red Dead Redemption's "Dead-Eye" mode -- and accurately pinpoint all of his shots. If the scene I witnessed was any indication, the use of Agent 47's instinct in this capacity delivers some truly astonishing moments when properly planned. From the opening moments, all the way to the dramatic conclusion in the orphanage, it's apparent that the team at IO Interactive is building a game with many, many choices. 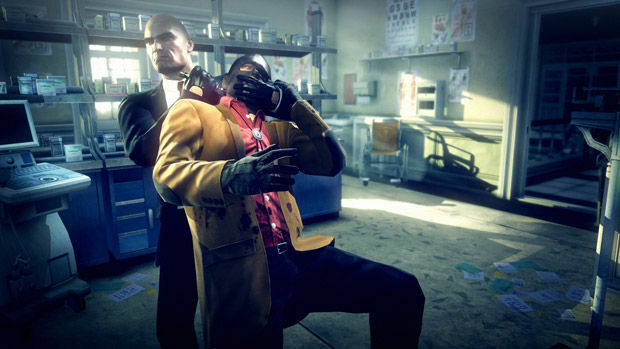 Although their previous endeavor, the Kane and Lynch series, wasn’t well received critically, it did usher in a level of Hollywood-like storytelling that has helped the developer take a more cinematic approach with Absolution. The rooms Agent 47 traveled through felt like their own unique experience. Often times in videogames, every generic enemy feels exactly that: generic. This is not the case with Absolution; each enemy Agent 47 made his way past conveyed a level of realism -- thanks to constant banter -- that is almost unprecedented. I was told by Absolution's head art director, Roberto Marchesi, that there are nearly 2,000 pages of script for all the dialog in the game. It's in this care for every character that Absolution creates one of the liveliest worlds I have ever seen in a videogame. In a scene where Agent 47 found himself slinking through a child's play area, two guards -- who were evidently buddies -- were engaged in dialog that would eventually play to the silent assassin's benefit. 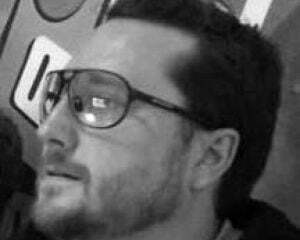 It was clear there was turmoil between the two and that one was a heavy drug user and was actually high at the moment. In disgust, the other guard walked away, complaining that his partner never has his back. In this moment it was made clear which of the two was the easiest target. As the drugged-out guard stood clueless, Agent 47 snuck up on him, knocked him out, then dumped his body in a child's ball pit. Small scenes like this filled the entirety of the demonstration, regardless of the play style chosen. When enemies are constantly disappearing and not communicating with their squad mates, not only does the dialog change to reflect this, but their A.I. also adapts. Enemies become curious and are in a heightened state, making those with hopes of achieving a "Silent Assassin" ranking work even harder in their pursuit of anonymity. From what Marchesi explained to me, it may sometimes be to the player’s benefit to chose the more violent path. If many enemies are eliminated, the chain of communication can be broke, which will ultimately allow for an easier end to some of the more hectic stages. An amazing atmosphere is not the only aspect of Absolution that makes it such an enticing cinematic experience. The use of music throughout amplifies the drama felt in each scene. Like a thriller, it ramps in dissonance as Agent 47 makes his way through the more intense encounters, but reduces to a harmonious melody when the assassin is on the hunt. To be honest, had I not been told by Marchesi to pay attention to the game’s use of music I might not have even noticed this dynamic feature. After watching two completely different play-throughs of the upcoming Hitman: Absolution, I can say with very clear conscience that Agent 47 has never looked so badass. The overall depth of play I witnessed combined with a world that feels more alive than ever before should guarantee that gamers are in for one hell of a treat later this year, whether it be in shadows or with guns blazing.